Are you facing Stalking Charges in Hampshire or Franklin Counties? Being accused of stalking can be an embarrassing, hurtful, and confusing experience. The accusation may have even come from someone you have a relationship or history with, perhaps the person misunderstood your intentions or are trying to seek revenge or punish you in some way. Whatever the reason is, the allegation is serious, and you need to retain a reputable and experienced Hampshire County criminal defense lawyer to protect your rights and counsel you on the best strategy possible. In Massachusetts, stalking is a serious offense that carries life-changing penalties. 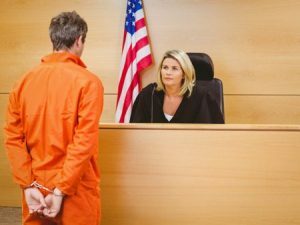 An experienced stalking defense lawyer understands that even a first-time offense could land you in a House of Corrections for up to 2 ½ years. The Law Office of Criminal Defense Attorney Thomas Kokonowski helps individuals accused of stalking in Hampshire and Franklin County stay out of jail and preserve their reputation. In Massachusetts, it is illegal to intentionally and repeatedly follow, harass, or cyberstalk another person in a manner that makes them feel threatened or fearful for their safety. An accusation, however minor, may cause you personal distress and hardship, not to mention what a stalking charge can do to your reputation. You need to know how to defend yourself. Don’t hesitate to contact a seasoned Hampshire County or Franklin County Stalking defense attorney to learn more. 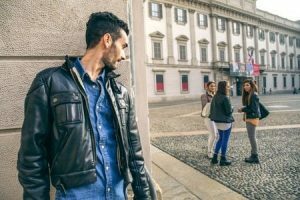 What Constitutes Stalking? If you stand accused of any of these, contact a Stalking Defense Lawyer today! Founding attorney Tom Kokonowski worked as a prosecutor for over 25 years. This experience has given him insight into how to defend those facing criminal accusations in Hampshire and Franklin County. If you are facing a stalking charge or have had a restraining order filed against you, call today to schedule a free consultation.